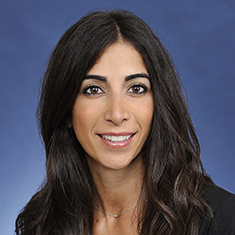 Tatiana Berger is a skilled attorney, with experience in labor and employment law, trust and estate planning and litigation, and general litigation. Tatiana began her practice in litigation and later specialized primarily in employment and labor law. She has defended and counseled employers in all employment matters, as well as defended breach of contract, trade secret law and other business matters. She has experience litigating all employment matters, including wrongful termination, retaliation, discrimination, harassment, whistle-blower claims, breach of contract, and wage and hour claims. Tatiana also counsels employers in human resources needs, such as employee discipline issues, hiring, termination, harassment investigations, employee handbook/policy implementation and other strategic decisions regarding their workforce. She also has significant experience negotiating and drafting settlement/severance agreements, arbitration agreements, executive contracts/compensation agreements, employment contracts and non-solicitation/non-compete agreements. Tatiana provides counsel in trust and estate planning and litigation. She began her trust and estate practice while serving as a trustee for a multimillion-dollar trust. She is skilled in estate-planning work, such as drafting wills, trusts, powers of attorney, health care powers of attorney and other estate planning documents. Her estate litigation background includes representing fiduciaries in connection with trust and estate administration, and attending court hearings related to conservatorship, accounting and other probate matters. She has also overseen estate administration. Tatiana graduated from the University of Southern California in 2001. Before becoming an attorney, she was a successful public relations executive in New York City in the fashion and beauty industry. She received her Juris Doctor from the University of California, Los Angeles School of Law, where she was a participant in the Moot Court Honors program and was a staff member for the Journal of International Law and Foreign Affairs. She was the recipient of the Morgan Lewis Book Scholarship, The Lyle Scholarship and UCLA Law Dean's Scholarship. Shown below is a selection of Tatiana’s engagements.